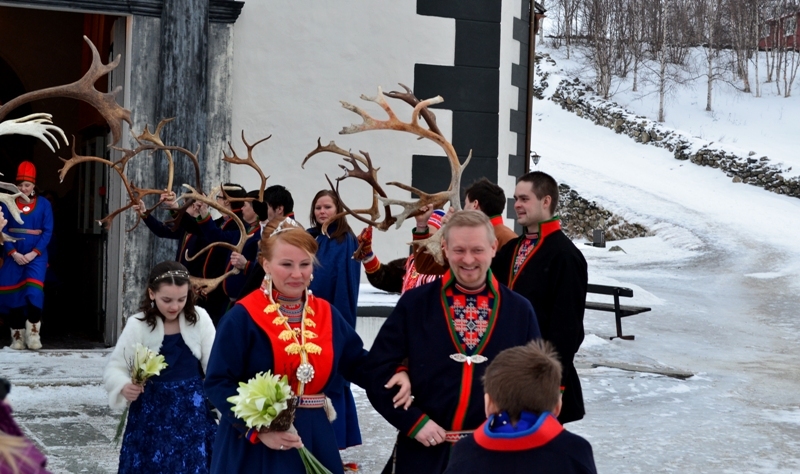 It’s not every day that one can attend a wedding of the Sami people, traditionally known as “Lapps” or Laplanders in English. 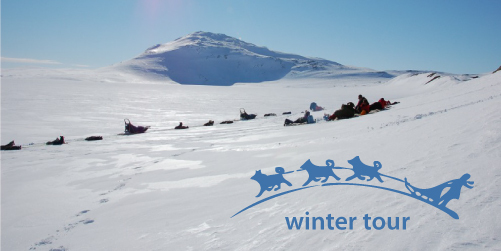 The Sami are the indigenous Finno-Ugric people who, since prehistoric times, have been inhabiting the Arctic area of Sápmi, which today encompasses parts of far northern Norway, Sweden, Finland, the Kola Peninsula of Russia, and the border area between south and middle Sweden and Norway. The first known historical mention of the Sami, naming them Fenni, was by Tacitus, about 98 AD. The wedding was a simple affair and had nothing in common with the pomp and circumstance that we associate with Royal weddings or the glamorous events of celebrities that we’re used to watching on TV. I attended the ceremony with Carla, a young woman who’d come from Italy to experience the Great North and its magical winter atmosphere and would have never expected to find herself in a lovely Norwegian church with me and the 300 Sami wedding guests. Carla and I sat in a back pew of the little church and shot some video of the ceremony. I must confess, we both got emotional and shed a few tears.